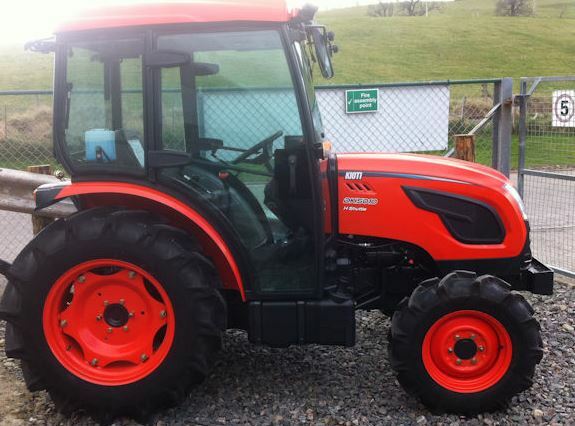 Hey friends, are you interested to buy a tractor from the Kioti Tractor Brand? 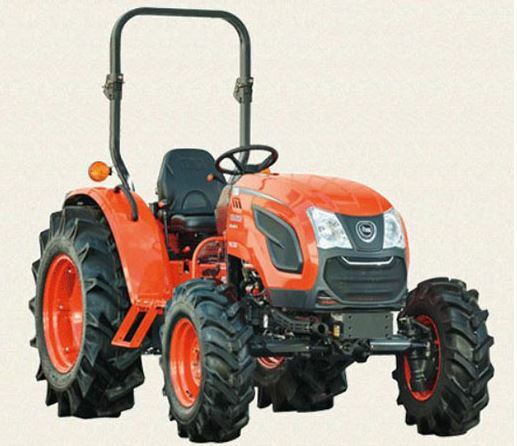 then, as per me, Kioti Tractor from DK series is best one for you with lower investment to buy a one with amazing features and working applications. But, it might be possible that you can go for Prices, reviews and specifications list of all tractors from the Kioti DK series tractors. So, I had prepared a List of all models of Kioti DK series tractors with their key specifications and reviews. In this list, I had added Prices, Specification including, engine, transmission system, dimensions, hydraulics performance, lifting capacity, fuel tank capacity, hitch system details and much much more from this separately. 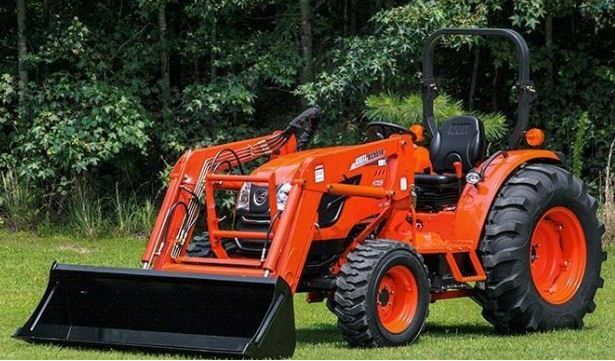 This list consists of KIOTI DK series tractors including DK4510, DK4510 HST, DK5010, DK5010 HST, CK5510, CK5510 HST Utility tractors information & Key features. Let us move to this price list of Kioti DK series. 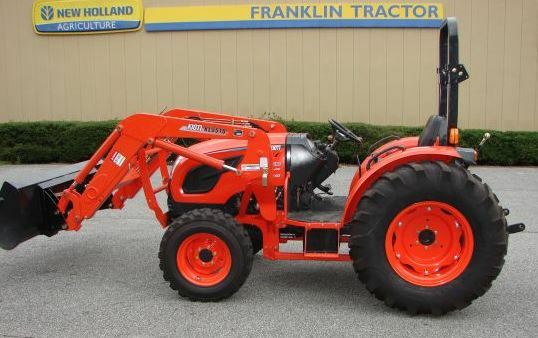 The Price for DK4510 utility Tractor $ 21,700.00. 45 HP (33.6 KW) power engine with 3 Cylinders, CRD, Water-cooled 4-cycle Turbo Diesel, In-line Vertical type engine. 2600 RPM with a displacement of 111.4 cubic inches (1826 cc). Dry type single stage and Syncronized type transmission. Water cooled based cooling system. Fuel tank capacity of 11.9 us gals (45 Ltr) of diesel as fuel. Independent PTO (power take-off) with a Wet Multi Disc type braking system. Mechanical 4 WD (wheel Drive). Facility of Rear and standard differential lock system. Category I type 3 point hitch with Position Hydraulic lift control system. Facility of Hydrostatic (HST) Power Steering. Facility of two optional remote valves. Lifting Capacity of 1232 kg of weight. 45 HP (33.6 KW) power engine with 3 Cylinders, In-line Vertical, CRD, Water-cooled 4 cycle Turbocharged Diesel engine. Dry type single stage and H Shuttle type transmission. 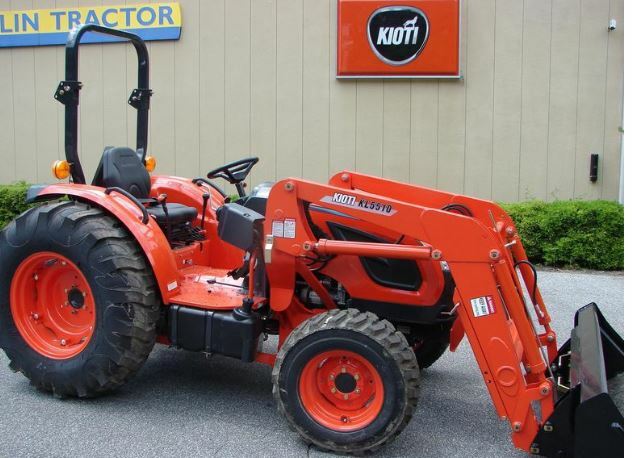 The price for Kioti DK5010 utility Tractor is $ 24,000.00, which is affordable to all with amazing features. 50 HP (37.3 KW) power engine with 3 Cylinders, Water-cooled, CRD, 4 cycles and Turbocharged Diesel, In-line Vertical type engine. Facility of Water cooled type cooling system. Wet Multi Disc type braking system with the Independent PTO (power take off). Category I type 3 point hitch and Position Hydraulic lift control system. Mechanical and 4 WD (wheel Drive) HST tractor. Forward travelling speed – 2.17 km/h to 27.9 km/h. Reverse Travelling speed – 2.11 km/h to 27.2 km/h. 50 HP (37.3 KW) power engine with 3 Cylinders, CRD, Water-cooled, In-line Vertical, 4 cycles Turbocharged type Diesel engine. 2600 RPM with the displacement of 111.4 cubic inches or 1826 cubic CM. Fuel tank capacity of 11.9 us gals or 45 Ltr of diesel as fuel. Wet Multi Disc type braking system. H Shuttle type transmission along with Dry type single stage. Mechanical 4 WD (wheel Drive) HST Tractor. Category I type 3 point hitch along with Position Hydraulic lift control system. Forward Travelling Speed of 2.17 km/h to 27.9 km/h. Reverse Travelling Speed of 2.11 km/h to 27.2 km/h. 55 HP (41 KW) power engine with 3 Cylinders, CRD, 4 cycles, Water cooled Type, and Turbocharged Diesel, In-line Vertical type engine. 2600 RPM and a displacement of 111.4 cubic inches (1826 cc). Dry type single stage along with Syncronized type transmission. 55 HP (41 KW) power engine with 3 Cylinders, CRD, Water-cooled, In-line Vertical type, 4 cycles Turbo-charged type Diesel engine. Facility of Independent PTO (power take off). At last, hope that this post is informative for you and is also helpful in deciding which is best KIOTi tractor to buy according to your financial arrangements and availability. However, feel free to comment for any kind of query, faced by about this post or for other assistance on the commercial vehicle. Thank for reading me and stay tuned with Commercialvehicleinfo.com to learn about each and every commercial vehicle, you want to buy.